Tapping into the technology savvy of today’s students, Professor Emeritus Yann Guezennec is leading a new initiative in the Department of Mechanical and Aerospace Engineering aimed at increasing student success through technology-enhanced teaching. The results have been significant. 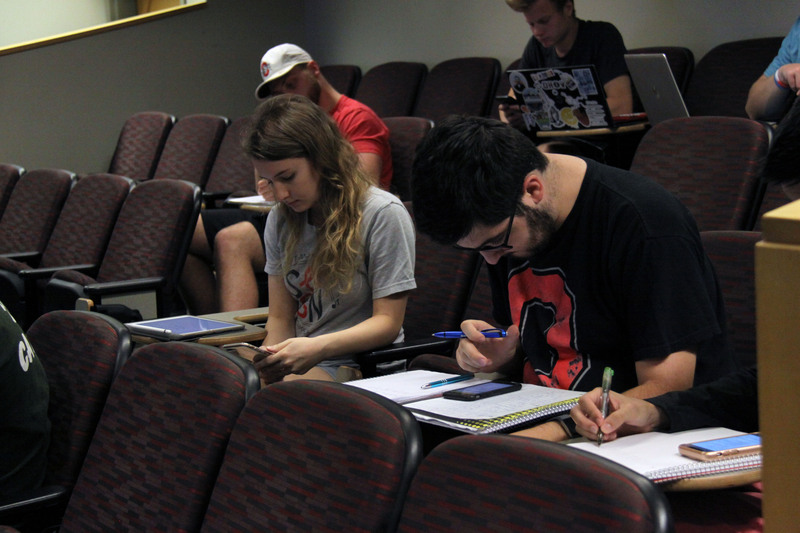 Technology is used in the classroom to enhance student learning outcomes.Utilizing e-learning tools, such as prerecorded lectures and online quizzes hosted on Carmen Canvas, Guezennec successfully piloted the flipped classroom model to deliver instruction for a core undergraduate class. The flipped classroom model focuses on better use of faculty time in the classroom and its success is rooted in exposing students to concepts multiple times. Because recorded lectures are available throughout the semester, students can replay them while studying. By delivering new content and corresponding quizzes online, the class meeting time becomes an interactive session for solving examples and answering questions. After the impressive pilot offering, Guezennec was quick to share his model of success with department colleagues. Assistant Professor Jung Hyun Kim is using the flipped classroom approach to teach ME3501 Engineering Thermodynamics this semester.Since autumn 2016, three other faculty members have used the flipped classroom model to teach the same course, all with similarly favorable results. Two more are utilizing the approach in this semester’s offerings. Associate Professor Rob Siston is another proponent of using the flipped classroom model. He began experimenting with it in 2013 while teaching ME3671 Machine Elements and has continued to utilize the model in various courses over the years. His early success also encouraged the department's endeavor into its new initiative. Department Chair Vish Subramaniam praised the results of the initiative. “We wanted to not only save faculty time, but also increase student learning outcomes. The pilot has proven that both are possible, and we predict that technology-enhanced teaching and learning will give the department an edge in reaching today’s students,” he said. Subramaniam, who continues to encourage department faculty to try the flipped classroom approach, will be using the model in spring 2019 when he teaches ME4510 Introduction to Heat Transfer. 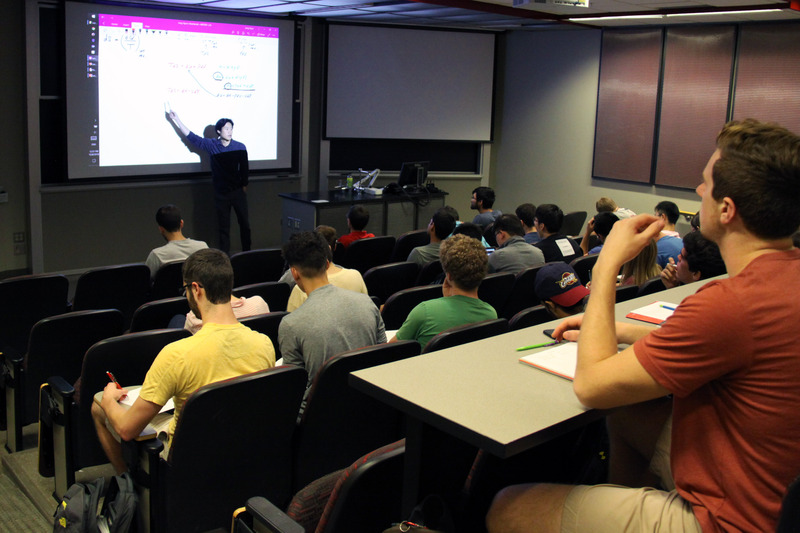 The flipped classroom model contributes to the rest of the department’s technology-enhanced teaching initiative. Faculty are investigating how time-saving elements of the model—such as prerecorded lectures in voice-over PowerPoint format and online quizzes—can be reused for teaching elective courses whose small enrollment numbers often result in course cancellation. “Components of the model can also be used to incorporate materials related to emerging technologies and ideas into classes, making them more dynamic and agile in a rapidly changing technology-laden world,” said Subramaniam. Another option for reuse of materials is distance education, which Guezennec and other department faculty have been involved with for over 20 years. Guezennec is impressed with the results of the initiative so far. “All the faculty who have tried the flipped classroom model have consistently seen successful results,” he said. by Holly Henley, communications coordinator, henley.53@osu.edu.